I loved this pub instantly & the standard of food along with the choice of Shepherd Neame beer only reinforced this assumption. It's in Hastings Old Town & well worth the walk up All Saints Street. The hosts Nicky & Nick are welcoming & attentive. The menu caters for vegetarians, vegans & fish eaters. Highly recommended. The pub gave us lovely food, good beer, a great atmosphere and a most enjoyable sing-a-round the night we were there. We visited The Stag on a Saturday night. The pub was busy but with a very friendly and relaxed atmosphere. We had four different starters and four different main courses and each of us rated our choices very highly. The beer and wine went down very well. Our waitress was also top notch. All in all just what a pub should be. This place is a rare gem. Great food (including Balinese specialities) at very reasonable prices, lovely atmosphere and warm, welcoming, friendly hosts. This pub in the heart of Hastings Old Town is where local musicians turn up to play and sing folk songs and bluegrass three evenings a week. If the way it's done seems improvised, the music and singing is extraordinary. I promise you will be tapping your feet and joining in the chorus, along with everyone else. 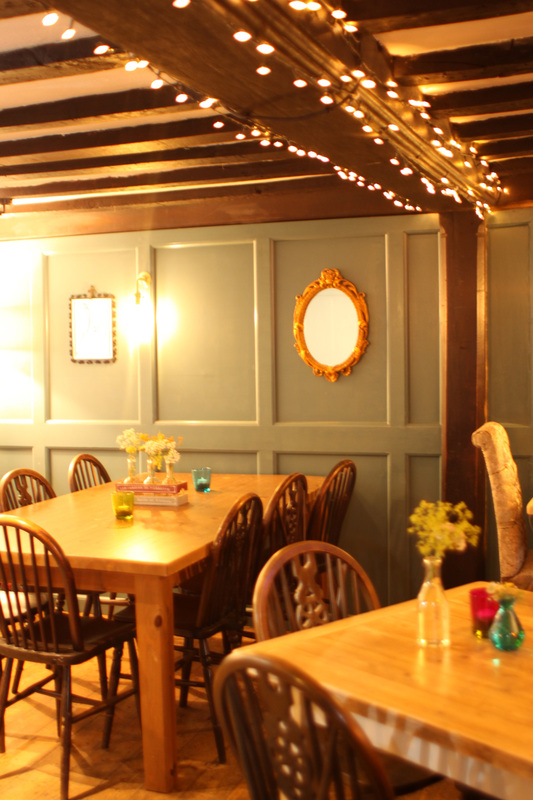 Oak beams, cosy atmosphere inside and if you smoke, there's a pleasant outside terrace. Should I be telling you all this if I want to get a table? Probably not. But Nick and Nicky's Stag pub is one of those secrets it's impossible to keep. Great pub with a lovely atmosphere but the best thing about it is the warm welcome from the landlady when you walk in the door. AND. They are dog friendly so they let me in with Maddie! Very friendly landlady and team, we had a mulled cider and a portion of chips. Best mulled cider I've had and really good chips. Dog friendly (they brought our dog a little bowl of treats). Beautiful historic pub, great wine, attentive and very friendly staff. Didn't try the food this time but definitely coming back for a Sunday Roast. Very much recommended. Great atmosphere, great landlords, great selection of drinks. Very cosy pub with exposed beams and fireplaces, lovely seasonal cocktails and real ales. We loved the selection of board games and mulled cider - could have easily spent all day here by the fire. Great service and dog friendly too! Had a meal with some friends. First time there and was very impressed. The meal was fantastic, Mexican bean wrap with chicken and the best hand made chips ever. The sticky toffee pudding melted in your mouth. The staff were very friendly and helpful and the pub is oldy worldy in the stunning Old Town of Hastings.